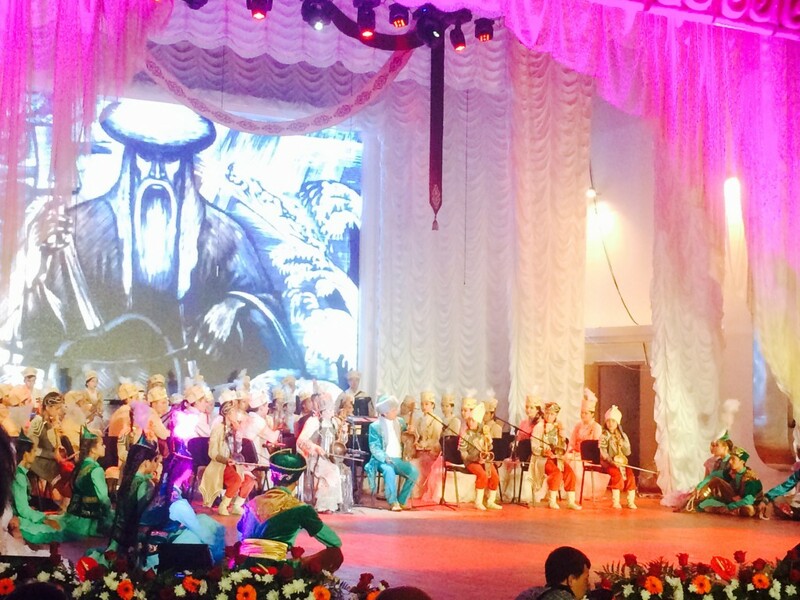 It’s been a wonderful first day at the International Council for Traditional Music World Conference in Astana, Kazakhstan at the Kazakh National University of Arts! You can read more about the opening events at this website on the blog. Tonight we were treated to a spectacular concert showcase of Kazakh National U of Arts student and faculty (including the Provost!). Performances by singing storytellers were featured in the concert so I’d like to share a concert photo with you. This student ensemble, led by their teacher, a woman, in playing an instrument that appears to be have been played, historically, by male performers only (much like the bandura it seems)! For more videos (including a bardic performance), follow me on twitter @m_ostashewski and check out the blog on my website at marciaostashewski.ca!